Free Delivery and Installation of car batteries in Raleigh area. A permanently installed Generac home backup generator protects your home automatically. It runs on natural gas or liquid propane (LP) fuel, and sits outside just like a central air condition unit. A home backup generator delivers power directly to your home's electrical system, backing up your entire home or just the most essential items. 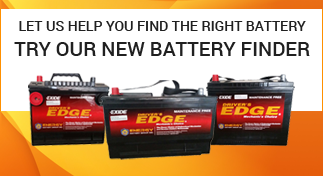 Exide Driver's Edge Battery Onsite. Deliver and Install anywhere you may be.